Vegan Ethiopia. When traveling through Ethiopia, we stopped in Addis Ababa, the capital city, to meet Mesfin Hailemariam, whom I discovered by doing google searches, and found a Facebook group called Ethiopian Vegan Association. After messaging back and forth for a little while, we were finally able to meet on one rainy day and discuss the state of things for veganism in Ethiopia, and how Mesfin came to be vegan in the first place. Mesfin: I’ve been vegan for five years. I’m on my sixth year as a vegan, and I am one of the very first vegans here in Ethiopia. I co-founded the Ethiopian Vegan Association. At the moment I am not as involved as I used to be with Ethiopian Vegan Association because it is not functioning as it should be, but I am starting my own small company, Vegan Ethiopia. We try to do anything that we can to spread the word of veganism and compassion for animals. We do a lot of leaflets, we try to promote books, partly with our foreign friends, especially from Australia, as we have a very good generous friend called Faye Leister. She kindly donated her books, she has a book called “Animals And Us” that teach children on animal rights in a very smart way. She gave us the “patent” so we can print it here locally and distribute it amongst kids in schools in Addis. And that’s what we try to do, we have distributed more than 300 books and we are planning to do more this upcoming academic year. The other thing is, we are starting a weekly video campaign at Taitu hotel. They have a vegan buffet every day so most vegans who come to Ethiopia want to go there. It is a good place to try the diversity of Ethiopian vegan food, you can see everything on one table there, and they have foreign choices as well. They are not vegans, but they are trying to spread the word. We can put leaflets there next to the tables, so people can pick them up and read. And lately I have been talking to them about running weekly video shows, so we can give lectures to people on what veganism is. Perhaps the people who come to this hotel for the vegan meals would be the easiest people to be attracted to the vegan advocacy, so we thought it would be a good idea to start the public advocacy on a bigger scale. We get all of our t-shirts, leaflets and brochures from our foreign friends, and we got a little bit of support from the Vegan Society in the UK, they contributed a small amount to print our books. Also some donation from FARM – Farm Animal Rights Movement, USA, they helped us with money to print those books, so we could distribute them in schools to kids. We are planning to do a lot more, but the problem is, there are not a lot of vegans, you are my first vegans in the last two years! There are not so many vegans that could help me do the activism. I hope I can convince more people to go vegan! Jonathan: How did you become vegan? Mesfin: It’s a long story, I guess. From my childhood, from the earliest times, I was inclined to be vegan, I think. But because there are no vegans here, because eating animals, even killing them at home, is part of the tradition here, I was brainwashed into the tradition that I couldn’t go vegan. I felt that I should be vegan, but it was overshadowed by the tradition here. I thought I would be the weirdest person to oppose these traditions, and I kept it to myself. 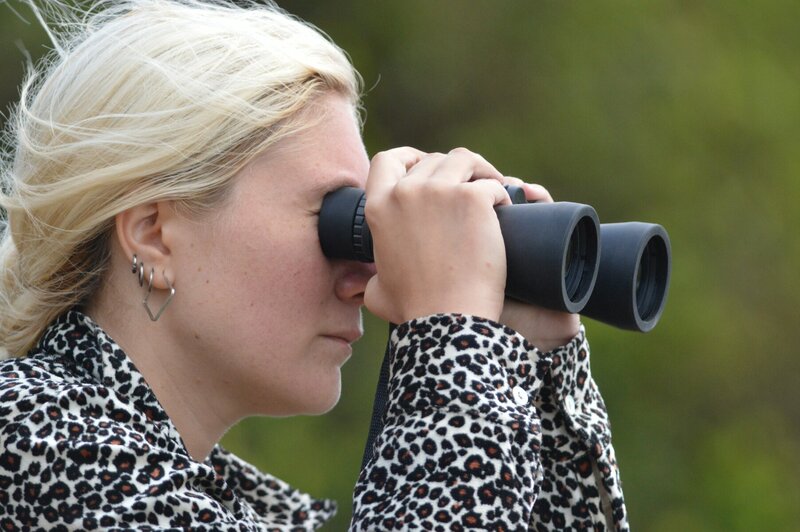 I was also very passionate about wild animals, anybody could come and ask me about any animal, whether domestic or wild, I could always find an answer for them. That’s the background for me being vegan, but the moment that I could change into veganism came later. I studied animal agriculture in college, still because I loved animals. To love animals in Ethiopia is to give attention to farm animals. I didn’t know it was as abusive, I was brainwashed into the whole cultural process. I studied animal agriculture. I saw the abuse there, but after college my biggest ambition in life is to be a conservationist, to be a zoologist and to be working in the conservation field, in the forest or more natural places. I found a scholarship in Australia, but they told me they couldn’t afford to finance my scholarship for conservation, but that I could try finding from other sources, so I started finding a lot of organizations that work with animals. I didn’t know there were people working for domestic animals’ rights. So when I was trying to find these organizations working on animals, I found the people working on animal rights, especially PETA – they are all over the internet. It was something new to me, people who love animals and wouldn’t eat them! So I asked them to send me leaflets and books, and then there was also Supreme Master Television. They did a lot of things to spread the word of veganism. I also got attracted to them, because all you see is that lady, surrounded by domestic animals. They also sent me books and everything. I read a little bit about their spiritual side but I dropped that, I am no longer interested in spirituality, only interested in the vegan side now, still they also had an influence on me and they tried to supply me with everything they could find in terms of reading and videos. And a lot of PETA people helped me to find out about veganism. After I found out more, it was not difficult for me to make the switch. I started resenting meat! Jonathan: How did that go down with your family and friends? Mesfin: Oh, the first two years were the worst. Now people around me are getting influenced, rather than influencing me. They are eating less and less meat. Jonathan: You can’t argue with logic. Mesfin: That’s right. The first two years at home were difficult. I still live with my parents, because it is difficult to afford accommodation in Addis, so my parents have a home here and I am staying with them, but I am planning to move out this year. Living with your parents was the most difficult part. They think that you are leaving them, leaving the whole family. They see it from cultural and religious points of view, sometimes they would think that you are dying. They don’t know that I am the one who will be living longer! And I am the one who is letting others live. I am not just living by myself, I am also helping other animals to live. I am an ethical vegan, that is my basic principle in being vegan: letting others to live. That’s my story. Katana: Can you talk more about the Vegan Association? Mesfin: There was a vegan man, doctor Antony? and there were a few others, from the spiritual movement from the Supreme Master, and two more from the US who were not involved in the spiritual movement, who were all vegans at the time. I think one of us saw an interview with Dr Anteneh Roba, who is a medical doctor, on the same TV, and we all thought: “We have an Ethiopian vegan in the USA!”, we googled him and found his email address, so we emailed him and he was so happy to meet us, he comes here every year I think. We talked about a group, so I led the company to found Ethiopian Vegan Association. We called it this way, but the government wouldn’t allow us to get the name Ethiopian Vegan Association for some small reasons. I was not able to continue, at the time I was very involved in rural activities, I was working in a rural part of Ethiopia. Without me I think the organization couldn’t function. When I came back they had something to re-apply, maybe registration obligation for the government, as did all NGO’s, they had to re-register, but I think they couldn’t find the person to help them. I think it didn’t re-register. I was saying that we don’t have to be a legal registered company to do animal rights, so after that I started my own company. Most of those people were no longer here in Addis, I couldn’t get to meet them, the guy with his sister moved back to the US, so there was no one here. Ethiopian Vegan can’t be Ethiopian Vegan when most people are not here. I have a few more friends that are very much interested that are almost vegan, but not completely, but still they are interested in helping me spread the word of veganism, so I try to do that. Vegan Ethiopia is just a campaign, it’s not a legal organization. We have a lot of vegetarians here, I have foreign friends who moved out, unfortunately, about two months before you came here. When we just started, people didn’t even know the word “vegan”. They didn’t understand why people would stop eating meat. They literally wouldn’t understand, they would just label you as “trying to be different”. They won’t find your explanation good enough. But these days, I like to believe that as part of my work, people know the word “vegan” now. I think we are coming to that point where people are knowing more about the word “vegan”. Katana:You said that eating meat here is very traditional. Mesfin: Yes, it’s not just eating meat, but if you see, the day after tomorrow is the New Year here. And on New Year, Easter and Christmas [in Ethiopia they have their own calendar, so the dates for these celebrations are different to the rest of the world] is the worst time to be here, in Ethiopia. If you look around, there are a lot of sheep around town, a lot of chickens. Part of the tradition is not just eating meat, but you have to keep those animals in your home. And it is the guys who do that. If you are not part of the tradition, you would be seen as… what do you call those people… anticonformist? Mesfin: Yeah, maybe anarchists. It would be difficult to not be part of that tradition. The women, I think they feel horrible to see the animals being killed, so they don’t want to see that, they hide themselves. As a guy, if you don’t want to at least see and help in the process of butchering the animal, you would be seen as not a “guy”. Katana: It’s everywhere like that in the world, a manly man must eat meat. Mesfin: That’s the problem. And the other thing is, most of our biggest traditional meals and recipes are non-vegan. People here eat raw meat! I tried it twice or three times before I became vegan, I didn’t like it, but most people here in Ethiopia can’t live without raw meat. The food that they adore the most is raw meat. Katana: What about environmental damage in Ethiopia? Jonathan: One of the reasons for being vegan in the Western world is looking at the amount of land and resources it takes to produce a meat-based diet compared to a vegan diet. 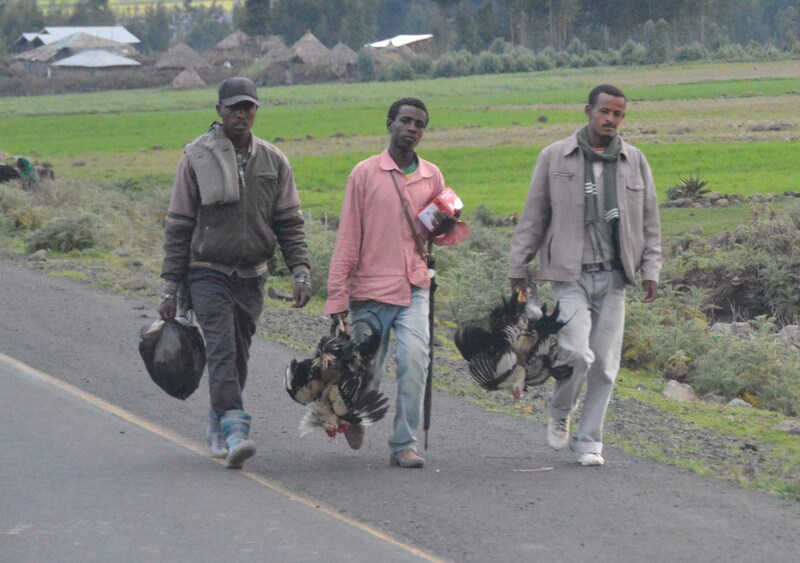 Seeing all the animals and the crops all over Ethiopia we were wondering what the impact is here. 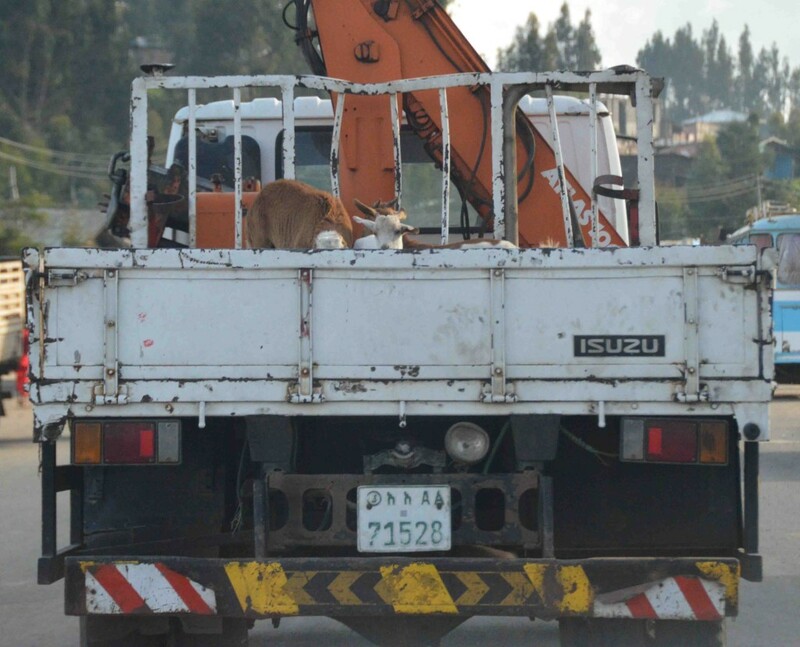 Mesfin: There could be justification that the animals can feed on roughage from the other crops or maybe they would be using marginal land to rear domestic animals. At the same time we are one of the biggest, the worst case of farming animals, because we have a lot of animals in Ethiopia, one of the largest numbers in the world, number one in Africa for the number of domestic farm animals. The problem this causes to our environment is that we have a lot of overgrazing, we cultivate especially in the densely populated areas, and when we continue to cultivate in the rest of the land, it leads to overgrazing, and together adds up to erosion. When the animals don’t have enough to feed on, they start uprooting the grass, the weeds and everything they can find. So the land would be barren, and in the summer time, during the rainy season, when there is a relentless amount of rain, the whole top soil would be washed out. The other problem is we don’t have enough space reserved for nature, for biodiversity to function, and without biodiversity we wouldn’t function as we should, right? In the long run we would be finding it difficult to survive. 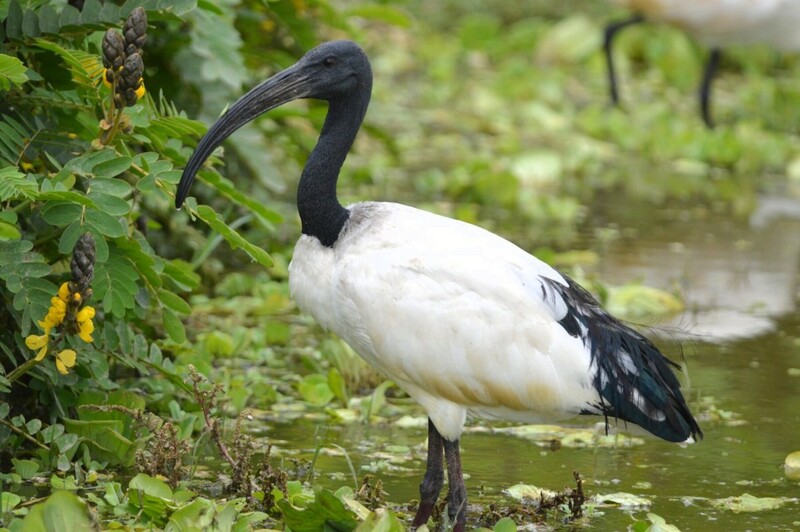 When it comes to biodiversity, we are one of the richest, because we have all types of weather, all types of landscape, so we have different animals in all the regions, different plants and so on. But it is not maintained well, we are one of the worst in the world for conservation. 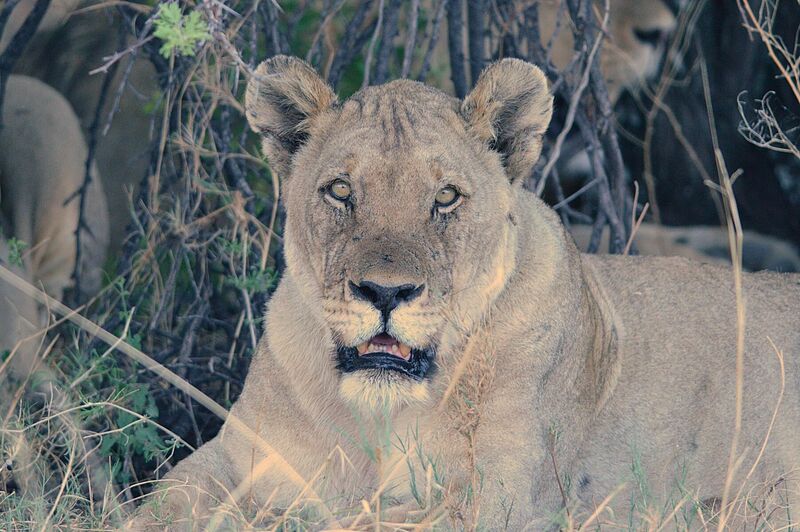 We are losing our wild animals at a rate not seen before. Mesfin: How did you become vegan? Here Mesfin switches the interview onto us, and it is time to wrap up. 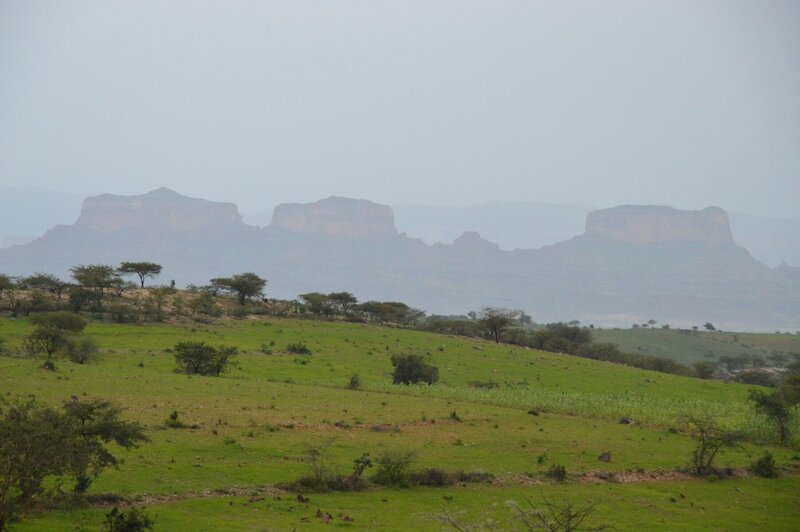 Many things that we saw as we drove through Ethiopia, about the treatment of animals and the deep tradition of meat, turned out to be exactly true, and the problem of overgrazing and soil erosion is a very real threat in Ethiopia. During holiday celebrations, an enormous amount of animals are slaughtered for food, for the traditional meals. Mesfin was right: being in Ethiopia around New Year celebrations was heart-breaking, we would see hoards of sheep, goats and cows, knowing that for a lot of them it is the last few days. We saw chickens being sold alive, thrust in front of our car upside-down, like inanimate objects. We saw trucks packed with live sheep on the roof, tied down so tight that the animals actually looked already dead, being driven to the market or to slaughter. The positive message to take away from this is that even in such a deep-rooted tradition of meat-eating, there are vegans, and they come onto the path of veganism through their own channels, through compassion and education. We might come from different countries and backgrounds, but being vegan unites us in our pursuits and missions, so we carry onwards. We are sitting in the swanky customer lounge of the Toyota dealers in Nairobi, with superb internet and such clean toilets. What is it with Kenya and spotless toilets? Maybe we just got so used to disgusting squats with no running water… with various insects and amphibians jumping out of the hole… but really, these are probably the cleanest toilets since we left our homes in June! After Jonathan got better from his giardia and typhoid infection, we made our way down south slowly to Addis Ababa, the capital of Ethiopia. 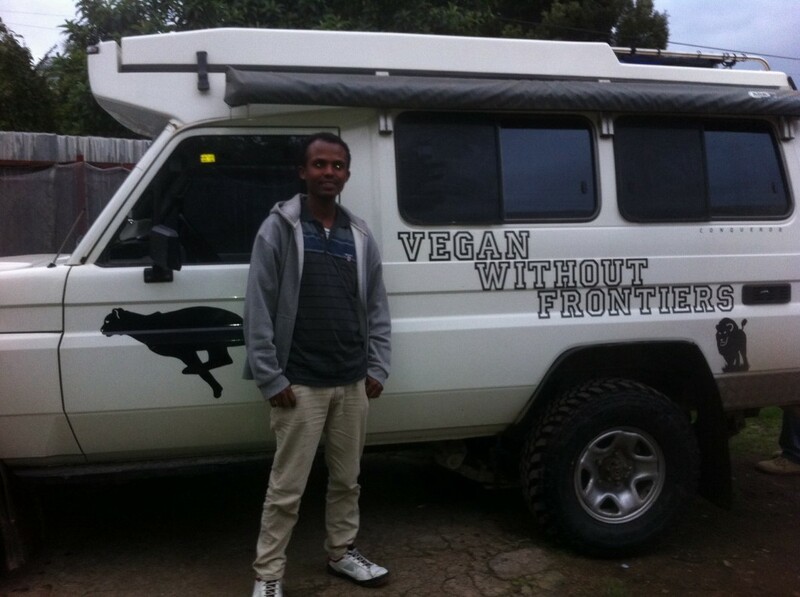 Mainly we were excited to meet Mesfin, our vegan friend in Addis (to find out more, check out the interview we did with him which will be posted shortly). 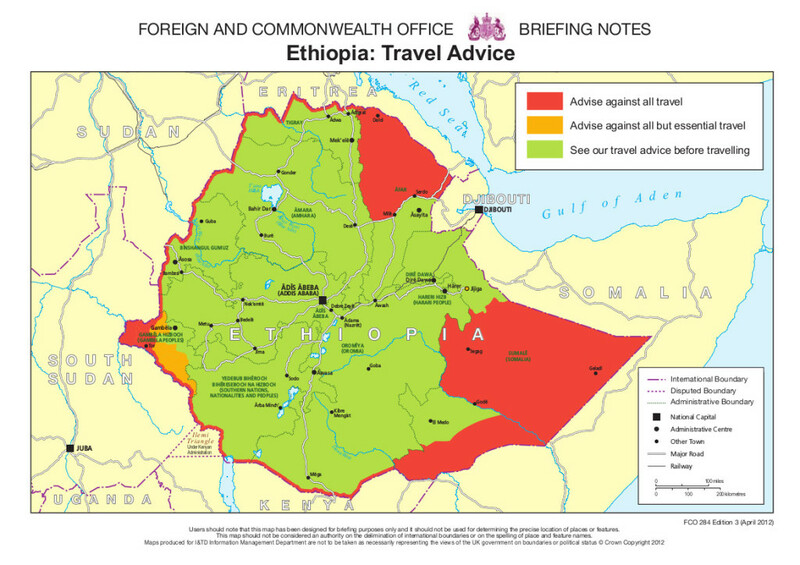 The drive to Addis was somewhat ruined by a horrible night stay in Weldiya (some maps have it as Woldia), in a place that doubled up as a brothel, surrounded by pimps, where weirdness, violence, shouting, and other unpleasantness could be heard all night. To top it off, we were promised hot water, but our room simply didn’t have running water at all – there was a gross bucket with some stale liquid in it. Addis was a difficult city to like, sporadic, with busy streets and mud roads intertwined between tall buildings, slums, and new construction all going on in literally every block. We didn’t get to see all the delights of the city, because we needed to press on south, but one day we dedicated to just walking around and seeing most things in the center. The last two nights we stayed in the famed Wim’s Holland House, and really enjoyed the service and the food. After leaving Addis the first stop for the night was Dilla, and after driving around the town a few times, stopping to look at the various similar looking “hotels” which mostly consisted of gross mosquito-covered rooms with no running water in toilets but a lovely mouldy container with stale water for showering. We promised ourselves we were not ever going to stay in such a place again, so instead we headed to the nicest looking hotel in town, called Hotel Delight. It was actually quite miraculous! Considering this was the night before New Year celebrations, the town was full of drinking, eating and the general celebrating noise. I was not feeling too good, so we had an early night instead. 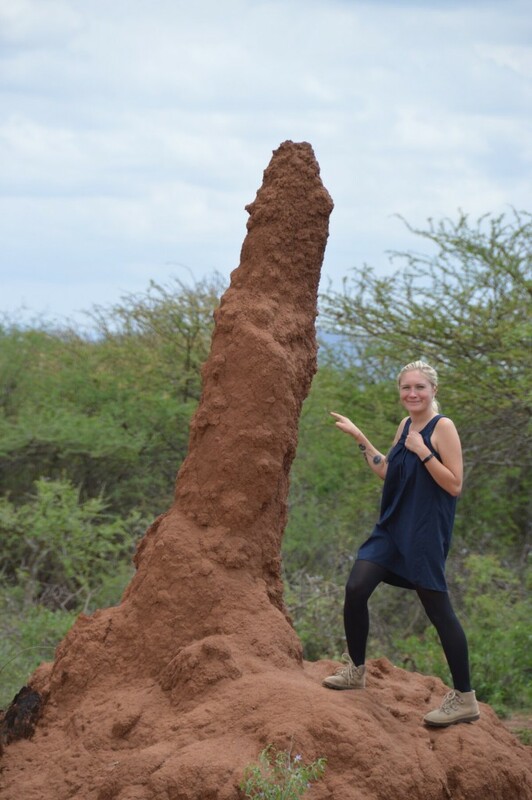 Termite houses in the south of Ethiopia, there were so many! The next day we really wanted to cross the border into Kenya, so we sped up towards Moyale. 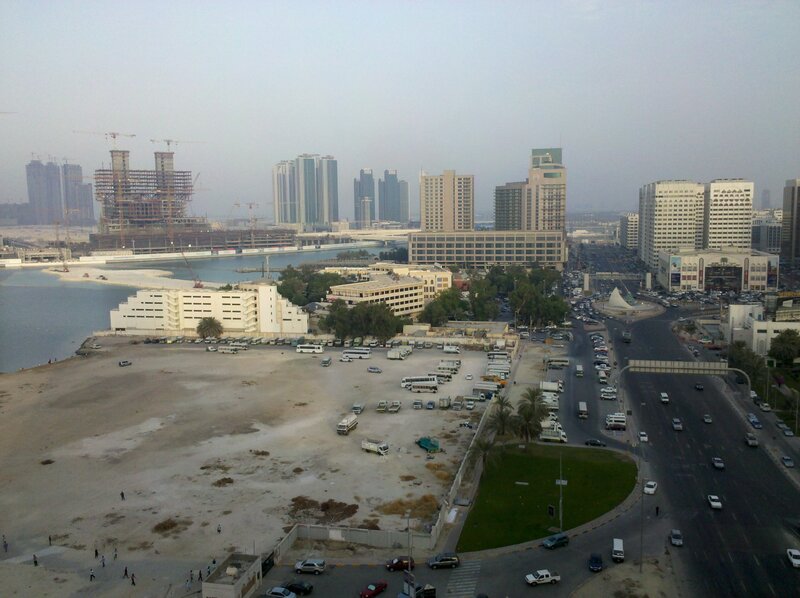 Unfortunately, seeing as how this was the New Year, the customs guy just decided not to show up for work. We were really annoyed by this, because the immigration officer was at work and stamped our passports, all we needed was five minutes in customs, and we could have pressed on. Sometimes things don’t work out as we like them to, so we were forced to stay yet another night in yet another hotel, this time a big open beer garden and restaurant with rooms in the building. The room was alright, the food was edible, the beer was plentiful, but the mosquitoes were hungry and fat and would not die even through three forms of protection! We woke up covered in bites, even though we used the mosquito net for the first time on this trip. Desperately annoyed with customs on the Ethiopian side, we managed to get through early in the morning, did all the paperwork on the Kenyan side, and we were off! New country! There is something to be said about the horrible rough road between Moyale and Archer’s Post. I think only the seasoned travelers and their steel stomachs and bones can survive the insane amount of shaking, jumping, vibrating, dust clouds, potholes, rock avoidance, invisible speed humps, and every imaginable nightmare. The good thing is that there was barely any other traffic at all. This side of Kenya is quite deserted and wild. The dry red earth seeps into every crevice in the car, in your clothes, and sits on your skin for days to come. 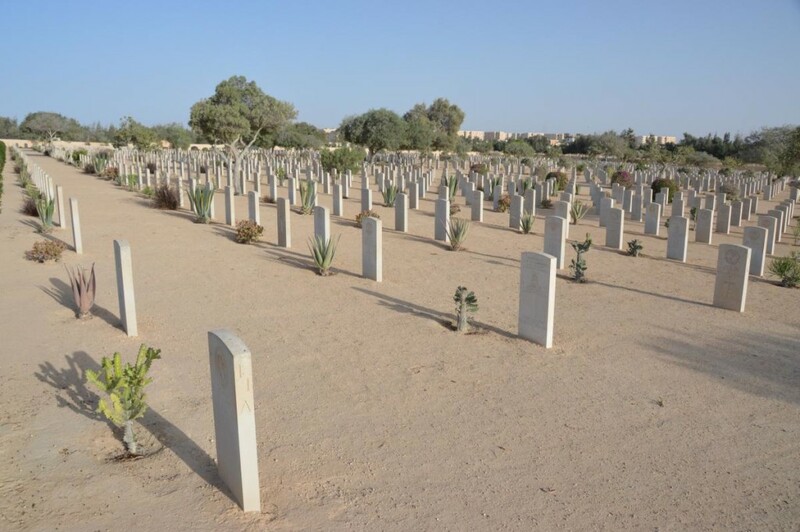 There are trees and bushes, but most are thorny, dry, or dead. The few people we met were either walking their flocks of goats and cows, or working on the new road. The tiny towns and villages we passed were mostly steel square boxes or hut covered in skins and blankets. I bought a bottle of water from a woman who didn’t speak a word of English, not even the word “water”, which is very rare in Kenya, seeing as how both Swahili and English are the main languages here. On our first night we stopped at Marsabit National Park, and camped just outside the gates in a public campsite. Those things are expensive! 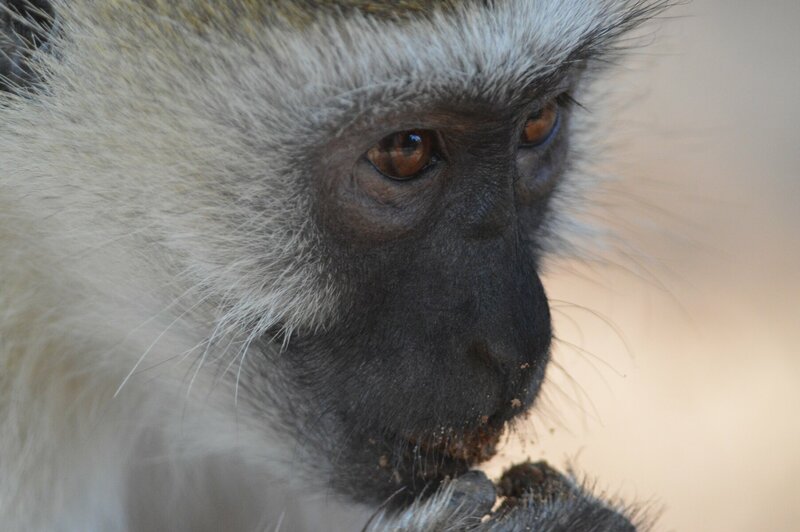 As a reward, I guess, we got a bunch of olive baboons hanging around the campsite, climbing on the toilet blocks and the water tanks, and providing a lot of entertainment for a few hours. In the morning we headed into the dense forest of the park, and were amazed by some of the oldest trees, covered in hanging branches and shrubbery. Tarzan would have loved it here! We saw a little bit of wildlife, but we mostly saw signs of wildlife: big cat paws in the sand and massive piles of elephant dung. Next we drove to the Samburu National Park, and entered it an hour before sundown. 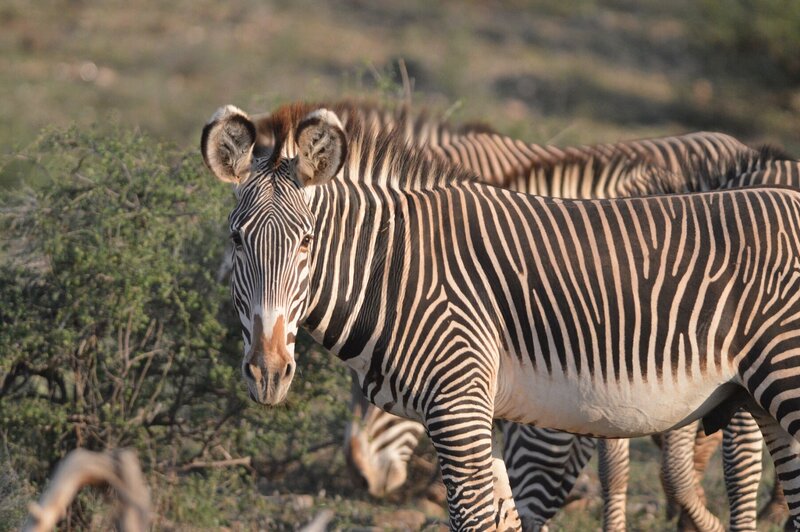 We managed to catch zebras, many kinds of deer, gazelle, other wild horned mammals, and we saw our first elephant! I spotted a large grey-brown “rock” which suddenly started moving, then I saw the ears, and as he turned, I saw the white tusks. 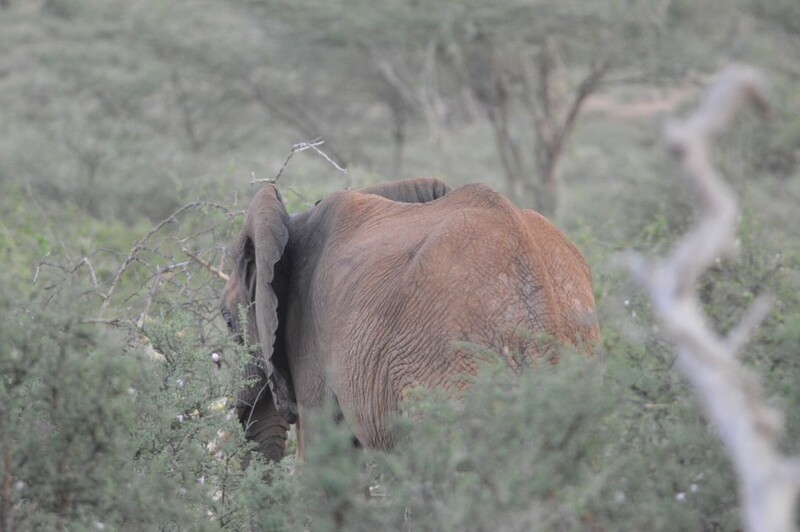 The elephant was not too far from the road, but seemed very shy and slowly walked off into the bushes. It was one of those moments that actually made me tear up! Shy elephant – our first elephant! We camped in one of the park’s public campsites, but we were completely alone there, except the security guards. Jonathan was sick again… we weren’t sure if giardia was coming back, or if he caught something new, or whether it was dehydration. The evening and night was mostly spent rushing outside and me being on edge and having to sleep in the front of the car… with the handbrake sticking into my back. 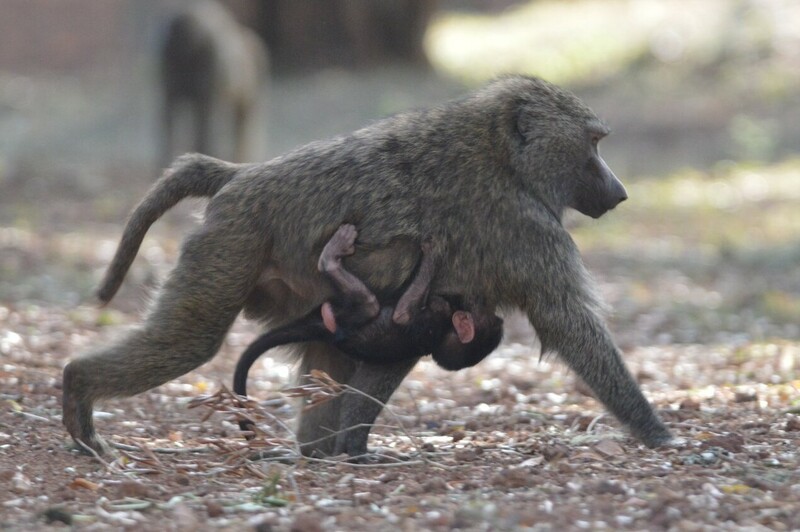 The first thing that woke me up in the morning was a very curious baboon going through our things outside the car. He got a hold of the orange juice carton, and in a millisecond managed to tear it apart! Then he realized the juice was very tasty, and tried to scoop it up from the sandy floor. Next he got a hold of our big water bottle, by which point Jonathan shooed him away and the baboon reluctantly left. Puke bucket.. cleaned by Katana. So proud to be helpful! After a small breakfast of coffee and peanut butter, Jonathan puked on the ground again. In a few minutes we were surrounded by another type of monkey, little mischievous ones up to no good! They weren’t scared of us, instead they started eating the orange-soaked sand, and then… yes, it’s true… they started eating the puke-soaked sand as well. They were particularly interested in the tiny pieces of peanut. One of the monkeys got so territorial over the puke that he became aggressive towards me! Sort of shouted and jumped around me for a few seconds until I moved out of the way. They tried climbing all over the car as well, but we soon packed up and got ready to go. Jonathan was a brave soldier – still feeling ill, he managed to drive us around the park for a few hours, where we spotted warthogs, more types of deer and horned-hoofed mammals, and our first giraffes! Reticulated giraffes to be specific, which are extremely rare and are declining in numbers at an astonishing rate; we ran into the Reticulated Giraffe Project guys right there on the spot, even pointed them in the direction of the animals. 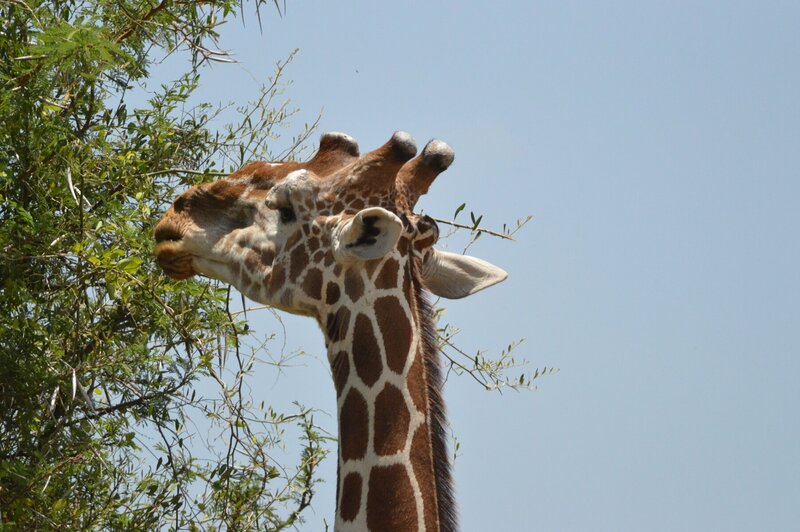 The giraffes are astonishing animals, and seeing them in the wild eating the tops of trees, moving gracefully between bushes, staring at the human intruders – there is a huge amount of awe that comes from seeing these amazing animals in their own surroundings. Sadly we didn’t see any more elephants, but I am sure we will soon enough! After Samburu we drove to Isiolo to give ourselves a rest and regroup. We spotted a nice enough hotel, with alright food, except in the morning, without even asking us, they served us lots of dairy, meat and other disgusting food. It was a total blow to us, because this food was already cooked, so not eating it at this point is basically the same as eating it – the meat, the eggs and the dairy were used. Still, we picked up our spirits and drove to Nairobi – or rather to Thika. We decided that Troopy needs a real service, as he has been leaking and sounding strange after all the rough roads. The drive to Nairobi is so different to anything we have seen in many many weeks! Real highways, big Western-style farms, signposts, malls, supermarkets and many many cars. We stayed in Thika in a strange place that was only half-built, but the service was still impeccable and their toilets! So clean! I have very conflicted opinions about Ethiopia. I didn’t really have an image of the country before we came to visit, but in the end it turned out to be nothing like I could have ever imagined. It is extremely diverse, loud and busy, full of human and domestic animal life, the people are curious about strangers, most of them very friendly and interested (too interested when it comes to kids herding cows! ), but we encountered a few crooks as well. The meat traditions are very off-putting to us vegans, but on the other hand veganism is slowly on the rise. The landscapes are so diverse, from freezing cold mountains to dry deserts. And most importantly, it is the birthplace of coffee! Having done half of our journey, it is time to reflect on the vegan meals since our last blog post about food specifically. Crossing into Muslim countries we were slightly unlucky in our timing, because we hit Ramadan dead centre. For those of you who don’t know, Ramadan is the month of fasting for Muslims, and this entails no food or drink when the sun is up. This means that from sunrise to sunset it was virtually impossible to find open restaurants or cafes, and when we did find open ones, there would be nobody in them at all. Some cafes would have men sitting under the shade, talking, reading the newspaper, but nobody would be getting anything off the menu. Of course as travelers we stuck out among the locals in any place we went to, and therefore were not entirely expected to follow the fast, but you can imagine it is very uncomfortable to be eating in front of people who haven’t had anything in their mouth since sunrise. The amazing thing about Turkey was all the fresh produce we could find on every road, being sold in fruit stands, supermarkets, small shops, and so on. The tomatoes had real taste and texture, the peppers were fragrant, the garlic enormous. We cooked most of our meals in the car, and I am glad we did, because it is rare to find such amazing fresh food in the UK so cheaply. In Istanbul we tried our first falafel – and were greatly disappointed. It was just a usual fast food stand, they have billions of them in Turkey, mostly serving meat. The falafel was yellow on the inside instead of the usual green, it was soggy and fell apart easily, and the wrap had sad looking lettuce in it, and for some reason they put french fries in the mix? What a disappointment! The saving allure of Turkey was the coffee, which is my favorite type of coffee, brewed in a special little pot, sometimes with sugar and spices. Next on the list of countries is Egypt, although something to be said about food in the Iskenderun-Port Said ferry: it was awful. The first day we were excited about food, because they served amazing bread, big tomatoes and olives – what more can a vegan want! But as the days wore on, the meals became more meaty and creamy and smellier, and the seasickness didn’t help either. 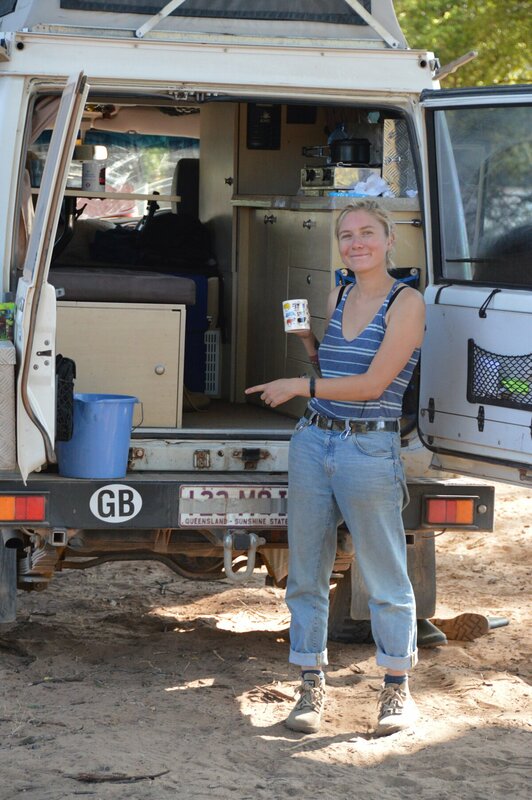 We resorted to making tomato soup from a packet we still had in Troopy, basically a life saver. 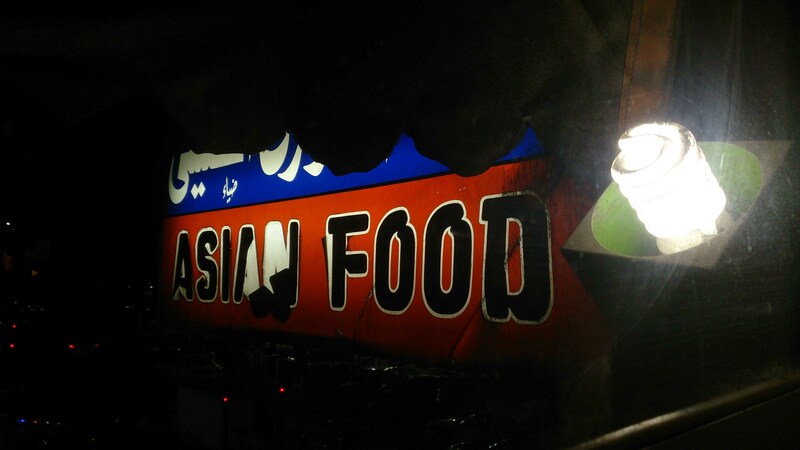 Port Said Asian restaurant with horrible horrible curry… worst curry ever. Egypt for the most part was also a blur of self-catered meals or random snacks. 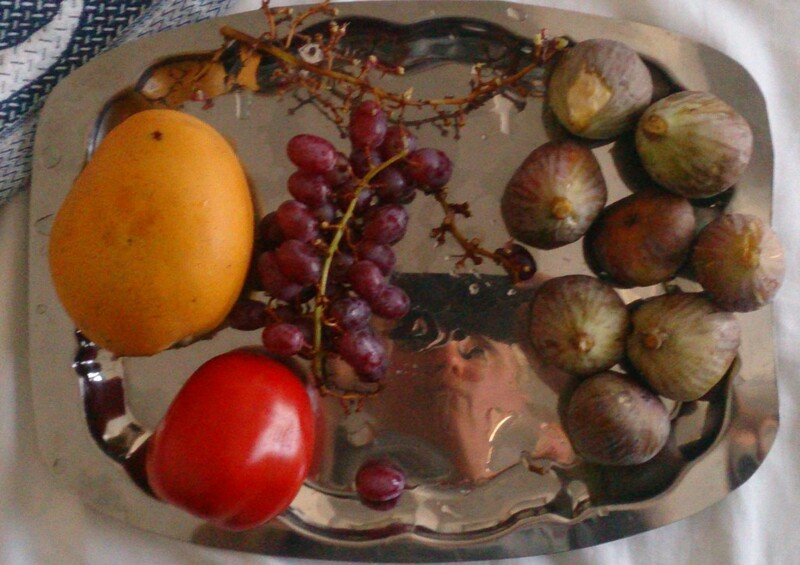 The time spent in Port Said we either ate figs, grapes, packet soup or noodles, or went to the only restaurant serving beer during Ramadan, and the first time I ordered a “curry”, I got a mostly disgusting dish of curry powder and cornflour sauce with barely any vegetables floating in it. The second time I got a salad, which was a thousand times nicer. The third night out in Port Said we went to an Italian style restaurant and had a vegetarian pizza with no cheese, it was quite nice! The rest of Egypt was a hit or miss. In Cairo we visited an amazing Lebanese restaurant Taboula, possibly one of our favorite restaurants so far on this trip. They had very fresh salads, and tiny pickled aubergines, very tasty hummus, and the other similar Middle-Eastern vegan delights. Shame we didn’t manage to walk there for the second time, because apparently their wines were nice as well. I think the only time we tried “real” Egyptian food was in Luxor, when I ordered a strange pot full of veggies, tomato-pepper sauce and overall it reminded me of ratatouille. In Aswan we mostly resorted to falafel and other sandwich-based meals. The falafel was amazing though! It was prepared by a brooding old man, who charged us pennies for our falafel pockets, and added grilled veggies inside the pita, and always asked if we liked it or not. Delightful! The other food was less impressive, from a different food stand, nevertheless it was sustenance during my giardia-ridden days, when any food looked like the enemy to me. 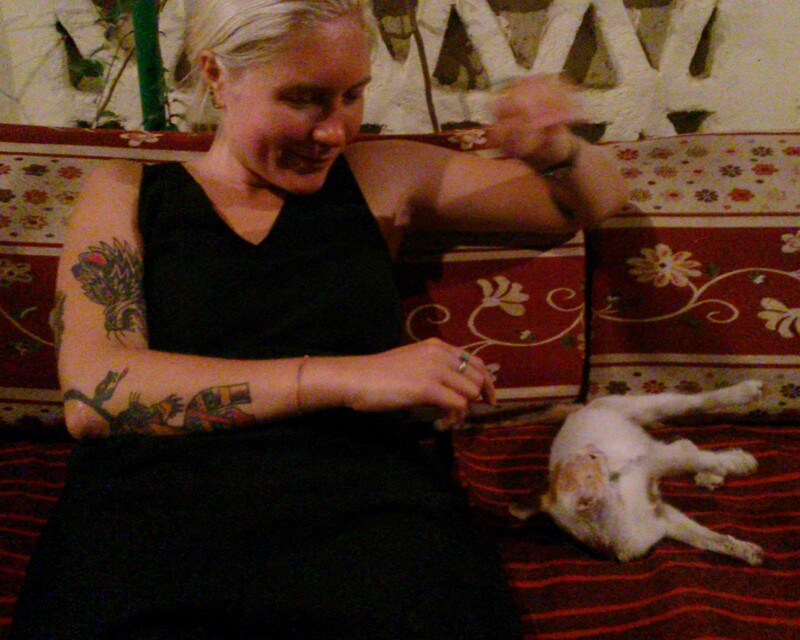 Kitty in Luxor restaurant played up the innocent side and got food out of it. Enter Sudan, and we entered the land of the endless “ful” – fava beans cooked in water. Staying in Wadi Halfa for a week, with barely any variety of food to eat, vegan or not, we thought we might actually go off food altogether and start “juicing”. If you are into the juice fad, Sudan is the perfect place to go – orange, mango, guava juice stands on every corner, even in the desert town of Wadi Halfa. If you don’t want sugar in your juice, tea, coffee, any beverage at all, you might find it very hard to convince the person preparing your beverage that you really don’t want it sweet. They put so much sugar in everything – even the local brand of coke tastes mostly of sugar rather than syrup or any other flavor. But back to “ful”. There are many varieties of ful, and many versions of how to prepare it. For some reason, every time we got ful, it was fava beans cooked in plain water, probably for a whole day, with no other spices or flavoring, and then when it was served in a bowl, about half a bottle of vegetable oil was dumped on in. You get pita bread to go with it. Sound like a tasty meal to you? We had it every day, although we got more sneaky and started adding fresh vegetables and salt. 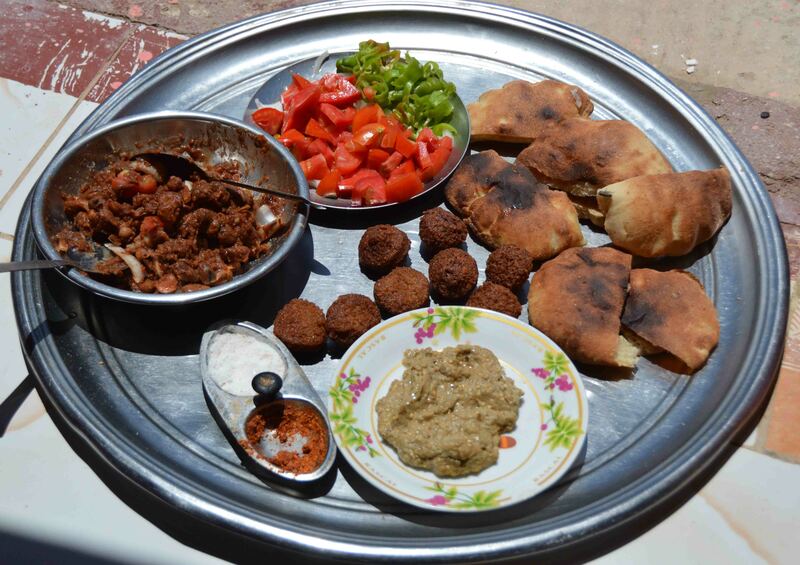 The only other thing we could have in Wadi Halfa was the falafel – the first day it was served with a nice salad in the pita, but every day after that it was just dry falafel in stale pita bread – sometimes with a “chili” sauce that just made everything mushy. Moving onto Ethiopia. If you have never tried injera, you are seriously missing out. It is a traditional flat bread-pancake sort of thing, and you can have it with many different things. The point is to dump your sauce or veggies (or meat) onto the injera and tear off pieces of the bread to pick up the sauce with. The good thing about Ethiopia is that as an Orthodox Christian majority country, they have a lot of fasting days. The longest fast is before Easter, and then every Wednesday and Friday are also fasting days for most of the year. On fasting days you are not allowed to eat animal products, although in some places they still serve fish and honey as those are not understood as “animal” per se. Which is why you can walk into most Ethiopian restaurants and ask for “fasting” food, and you will have no problem as a vegan. The bad side of this whole thing is that Ethiopian tradition is bathed in meat and animal raising for killing. You don’t have to go far outside your hotel just to see it, and after every fast there is a big meal with many slaughtered animals. We tried a few traditional “vegan” meals, and loved all of them. Tegabino and shiro are initially made from the same ingredients, but prepared slightly differently, and they consist of pea (or chickpea) flour with a mix of special spices, prepared with onions and other similar vegetables. Fasting fir-fir is a bowl of already torn injera pieces soaked in a similar red-orange sauce, a lot of people have it for breakfast. Then there is beyaynetu – a selection of different stews and sometimes unconventional items, like pasta, served on top of the injera. Possibly meant for one person, it is easier to share with someone, because you get a lot of food, and a great variety as well! Our favorite was at the Seven Olives Hotel in Lalibela. If you want to know more about vegan dining in Ethiopia, definitely check out Mesfin’s blog post about it, he knows better than us! Mesfin with us! Vegan Ethiopia! Overall, we are strong and have maintained our veganism. Some countries have been a lot harder than others, but the good thing is you can always find fresh fruits and vegetables in markets, and you can always find canned beans and pot noodles. 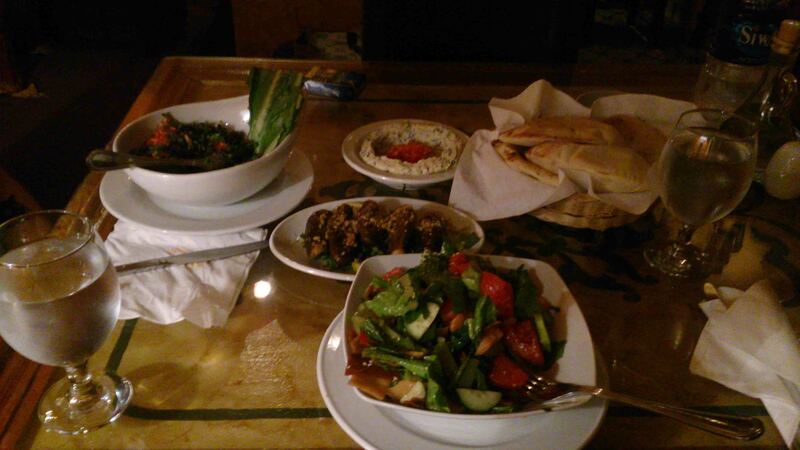 The general idea in the Middle East is that you eat salads, hummus, falafel, and similar dishes. A lot of countries we visited since Europe rely on beans, chickpeas, tomatoes and a variety of different breads. We are looking forward to discovering vegan options in the next countries, Kenya, Tanzania, Mozambique and others further down south. Keep reading and hopefully you will get inspired to go vegan too! The Danakil Depression is a place we have been talking about since we knew we would be coming this way. The UK Foreign and Commonwealth Office don’t think its a good place and have coloured it red on their travel advice map (the top-right corner on the map), but we have found that a lot of things on the ground are not quite what they seem from back home. It is very close to the border with Eritrea and controlled by the Afar people who live there. Some years ago there were incidents of tourists being killed by armed groups in the area. In fact it really is a dangerous place – but what will kill you is geology and climate, and if you prepare and go with the right people then its as safe as anywhere that reaches 50C and bubbles with lava and acid. But we were still in Lalibela, 286km by road from Mekele which is where you need to be to start a trip into Danakil. By road we mean what turned out to be 280km of variously graded track and 6km of surfaced road. As we left Lalibela just after noon as the thunderclouds gathered, Katana thought we might make it to the first turnoff for Mekele by 5pm. I thought we had no chance of making it to Mekele in a day – through the mountains, in thunderstorms, on muddy and rocky tracks which often double as a river bed? At gradients which meant constantly switching between 1st and 2nd gear on hairpins and crawling over boulder-strewn gulleys? At 5.30pm we turned onto the side road to Mekele. Katana was fed up with herself for being 30 minutes later than predicted (even after skipping lunch). I was amazed. 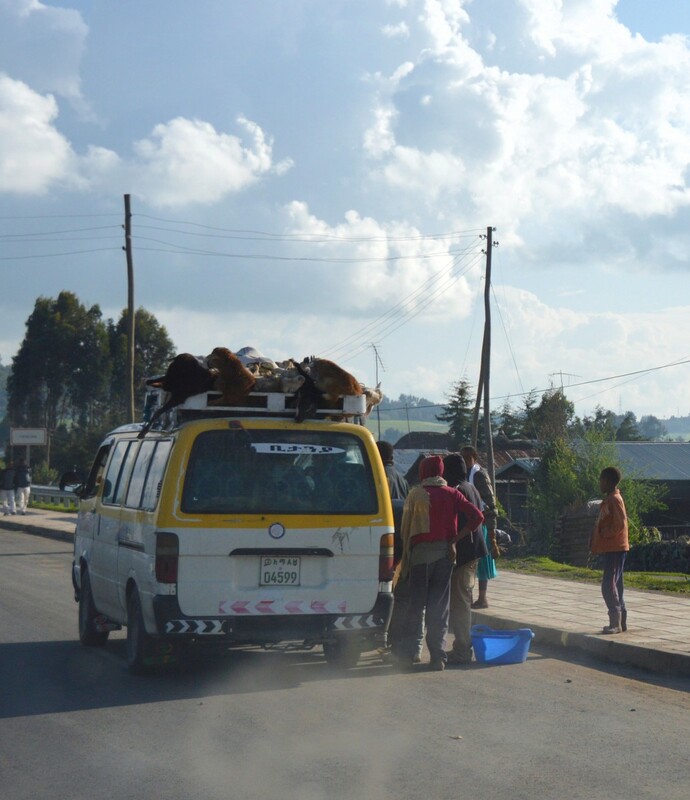 Between these 2 moments we had covered 200km over the ground and crossed the northern Ethiopian mountains in a spectacular series of climbs and descents between 1500m and 3500m, passing through villages of waving and shouting children and endless donkeys, goats and cattle. There were universities on hilltops near small towns (including some of those 6km of tarmac), but mostly there were cliffs dropping away from the plateau-topped mountains and tiny fields of crops cut into every available slope, driven through by expanding ravines of soil-laden streams and rivers. Global aid agency project signs were at nearly every turn. We crossed those on empty stomachs! We stopped to calm down, reflect and brew up some instant noodles before the final push to Mekele. For once, we were not surrounded by staring small faces, perhaps because it was already starting to get dark. I glanced at the map, and whilst it was not so huge a distance I figured if it was anything like the bit we’d just done we’d still be driving come dawn. Katana reckoned 80-85km. Even so, as I switched to 4WD to crawl through a long stretch of mud and water I figured it was going to be a long night. Whilst it was still just about light we finally reached an area so remote there seemed to be no people for miles. Right there, as we approached the next climb, Katana looked up at the hairpin above and said, “There’s a bunch of kids up there”. She wasn’t wrong. Rounding the muddy hairpin in the rain, with dark falling in the absolute, desolate middle of nowhere, we were blocked from moving by a group of 20 ten-year-old girls, dancing in traditional dress, banging a drum and demanding money. They surrounded the front of the car and banged on the windows. I had half expected an ambush, but this was ridiculous. 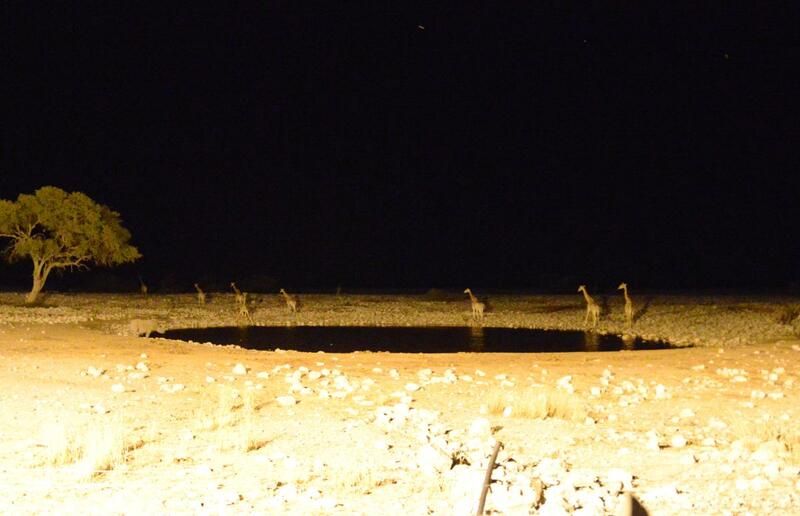 We thought we saw Hyenas right outside a couple of villages but put it down to imagination. Approaching one village as it began to rain we had to brake as a rope was strung across the road and a bus load of passengers were standing around their bus at the makeshift checkpoint, but the rope was lowered and we were waved through. We forged on down the narrow tunnel of our headlight beams, crunching through holes, rolling back and forth in the corners and squinting to see obstacles. As we drove into the outskirts of Mekele at about 8pm, shining torches and gawping at packs of Hyenas heading towards town, I was happy to admit that there’s a reason I do the driving and leave Katana to the Navigation. We had covered 81km since our noodle-stop. The first hotel we found seemed to be where the agencies and army stay when in town, and the price was a bit steep, but for 1 night we took the hit in the interest of getting some sleep and spending no more time traipsing round town. Besides, the Tourist Information office was in the building and we needed to talk to them first thing about the necessary guides, permits and protection for going in our own car to the Depression. Bad news. First thing in the morning we went straight from breakfast to the office – to be told it was pretty much impossible to do it on our own. Good news – there was a trip leaving in about 20 minutes, and we might be able to join that. After 10 minutes of discussion and bargaining, we were checking out of the hotel ready for a 4 day trip into the Danakil Depression in Troopy, as part of an Ethio Travel and Tours trip. Its expensive – we got the trip for $400 each (down from $600) for using Troopy – but when you see the numbers of people and equipment involved in this, and the wear-and-tear on both, it becomes clear this isn’t in any way a scam. Anyone wanting to do this in their own vehicle should weigh up the cost of this wear against the extra comfort and sheer enjoyment of driving yourself. Troopy is about the best equipped vehicle in these parts – air-con is essential, decent tyres are a must and WILL be damaged, and you best be good at driving in soft sand/mud/across lava flows. You will suffer attrition in some way. Anyway – we were off, chasing our guide-car down a series of descents on a new mostly-completed road. We met up with the rest of the convoy having coffee in a village en-route. A collection of nationalities from Asia and Europe made up the group of 12 or so heading for the volcano and its lava lake, some having done 2 days visiting the salt lake and sulphurous springs of Dallol already. That was our destination for the second 2 days. After another stretch of descents on good road and long straights across the black, rocky desert, we turned off the road and headed off across sandy (powdered muddy) desert studded with bushes and scrub – instructed to closely watch the route taken by our lead driver. This was fun driving, if only we could see where our lead car had gone in the clouds of super-fine dust and avoid the stunted bushes and banks of sand. We made it to an Afar village for lunch – herded into a stick and plastic hut – which was a very welcome sight. We had no problems as they cater everything vegetarian! After lunch, we headed off across the desert again, only this time the flat plain of crusted mud had a nasty surprise or 2. This is the rainy season after all, and whilst it doesn’t rain down in the Danakil Depression, the mountains disgorge their water into wide, flat wadis and across the plains. The dry crust was paper thin here and the mud underneath suddenly dragged at the wheels and we ground to a halt. Nervous moments, but a quick switch to 4L, engage the diff locks and we powered out of the soggy bit onto firmer ground. Next time I wasn’t going to be caught out so easily and we kept going in across the dry dusty bits and damp stretches alike with a little extra power until reaching the edge of the lava field. 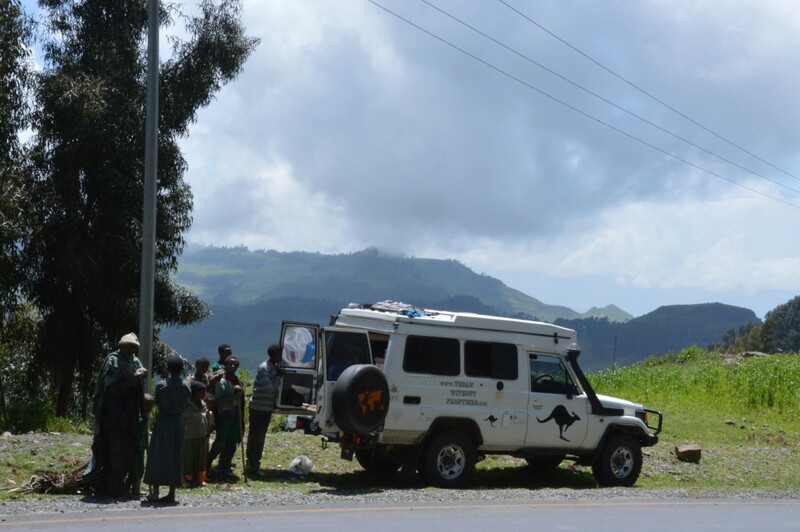 At this point our lead driver left us there to go back and find out what had happened to the other cars – all Toyota Landcruisers – which had got stuck. We chatted to a young Afar man and some children who appeared out of the lava field until the others arrived. Then began the most painful and slow bit of driving I have ever encountered. Basically, to get to the camp site at the foot of the volcano we had to drive across the naked razor-sharp lava field for what seemed like forever but was probably nearer 2 hours. Trying to avoid grounding out or slicing the car open on huge boulders, thudding into holes or inching up huge steps, Katana was nauseous and ready to get out and walk by the time we got through. It would have been quicker to walk, except that the heat would have been fatal in minutes with no shade and just the black rocks to hide behind. To make matters worse, one of the drivers spotted oil dripping onto the inside of one of Troopy’s rear tyres. It seems that powering out of that wet wadi had put too much pressure on an oil seal and it had given in. Not too serious, the experts concurred, we could continue for now and get it fixed when we got back to Mekele. Still, it was a worry. The plan was to climb the gently sloping volcano after dark and spend the remaining night sleeping in the open at the top, before heading down again at first light. We were all tired, a little nervous and excited at the thought. So we rested, drank water and had a good dinner of salad and pasta before setting out – each with our 2 bottles of water for the trip up – led by our guide, a local Afar guide and escorted by a couple of soldiers. The rest of the army contingent who had come with us had been deployed to scout out the area around us. A camel went ahead, loaded with blankets and more bottled water. The climb was more of a gentle sloping walk for most of the way, starting through sand and then entering more tricky old lava flows. Through the evening we climbed for about 3 hours, conversation dwindling a little, until we reached a final steeper climb and arrived at the top ridge. 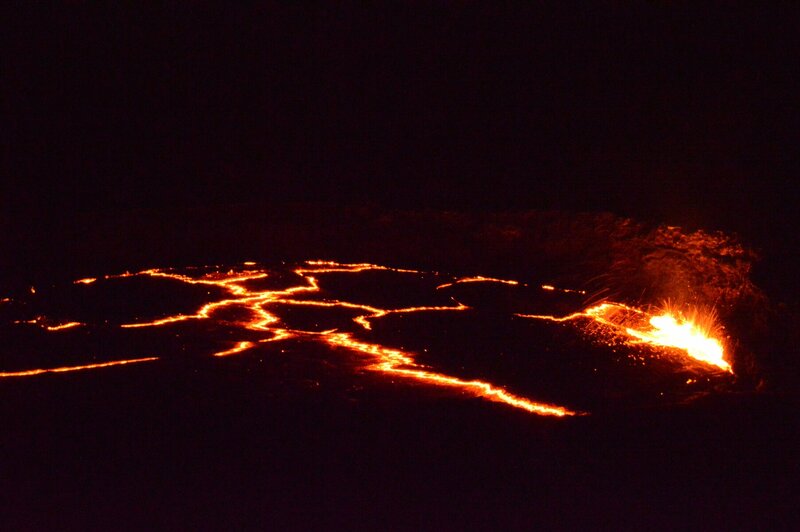 A few minutes walk in front of us, we could now see the red glow and occasional bright sparks of the lava simmering in its crater, and smell the sulphurous smoke even though we were upwind. First sight of the action. 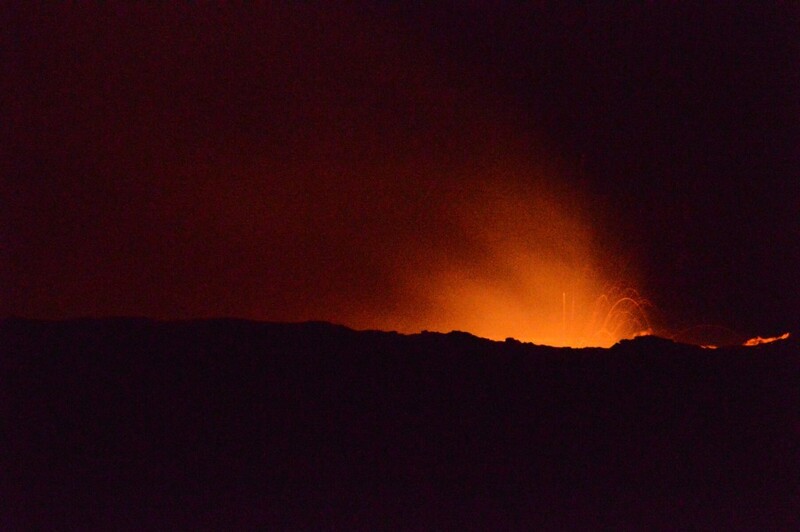 We spent what may have been an hour, maybe two, staring into the slowly churning pool of lava just feet in front of us. 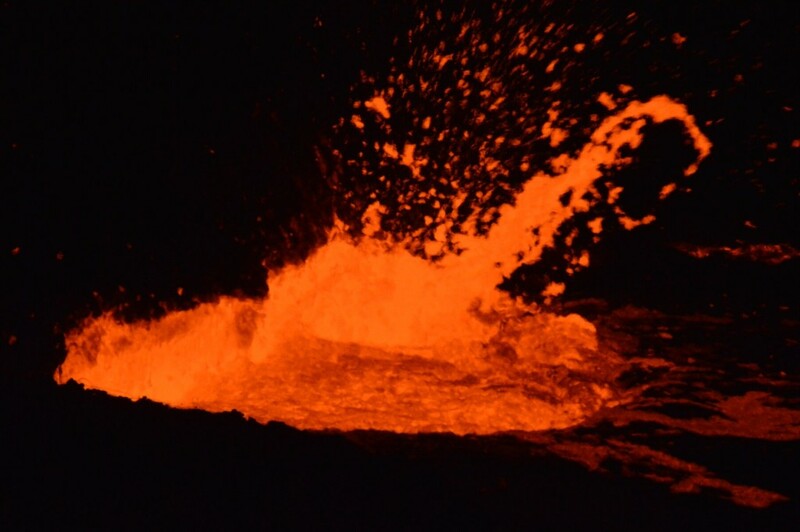 Parts of the small lake were constantly boiling and flinging showers of molten rock into the air above us…occasionally coming a little too close and necessitating some swift footwork to relocate our gawping spot somewhere safer. Other parts just oozed zigzag lines of red and yellow, as the darkening surface skin slid across towards edges which would consume it in bubbling fire. One spot just sat glowing until an ocassional great bubble of runny rock and gas phlurped to the surface. Even the dark ground around us was strange and surprising – connecting the gravelly carpet of black beads was a network of fibres like millions of interleaved spiders webs. This delicate ‘cotton lava’ seems to be formed as runny molten rock is thrown into the air and cools in fine strands which drift down to settle on the surroundings. The night’s sleep was less awesome, lying on a thin mattress on the sloping rock of the volcano after chasing off some spiders and the odd mouse. It was still too hot for comfort. The long walk down at dawn was a quiet one, until we joined the rest of the drivers back at camp for breakfast and then the return trip. At this point I did wonder at the wisdom of driving myself for this trip – combining the hiking with driving is a bit rough! But once free of the lava field, we again had some great fun driving making fresh tracks across the mud-cake and sand plain. Some of the other vehicles had to be dug and pulled out again, and the following trip seems to have been cancelled to allow the ground to dry out a bit as a result. Back on the tarmac, Troopy’s leak got worse on the long climbs and we decided we needed to head back to Mekele for repairs straight away. 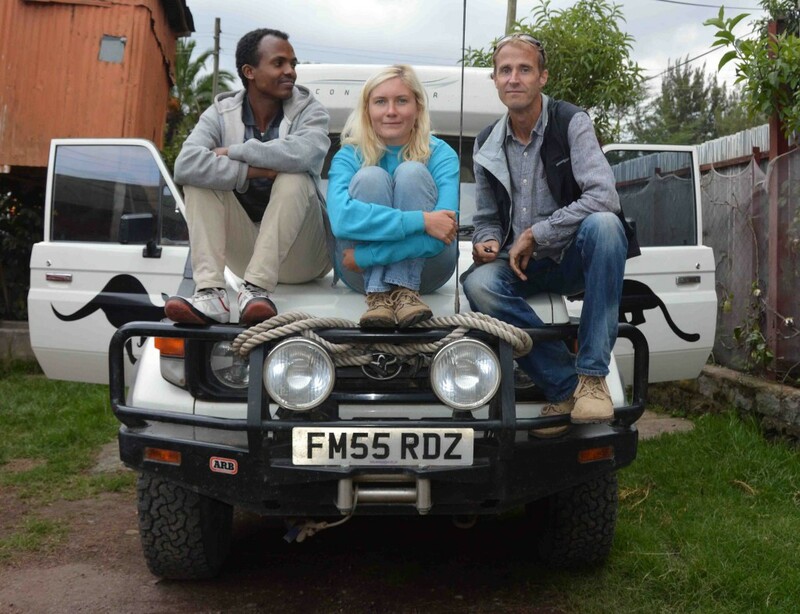 In a change of plan, the whole expedition switched to this option – a night in a hotel in Mekele rather than in a village house – and we all headed back to base. A quick trip to a garage in the morning confirmed we needed a new oil seal, which was no problem. However, it also identified that the rear-differential oil was contaminated with water. Now – remember that river crossing back on the way to Tim and Kim’s near Gonder and the little issue I mentioned? Well it seems that the water had got in through the Air-Locker breather valve when we went paddling, and now we needed to change the oil. We checked the front too and found the same thing. So we are now rather nervous about the next wet bit and I’ve added replacing the breather valves to my snag list. Anyone got good suggestions here? (Other than checking the gear oil more often!). 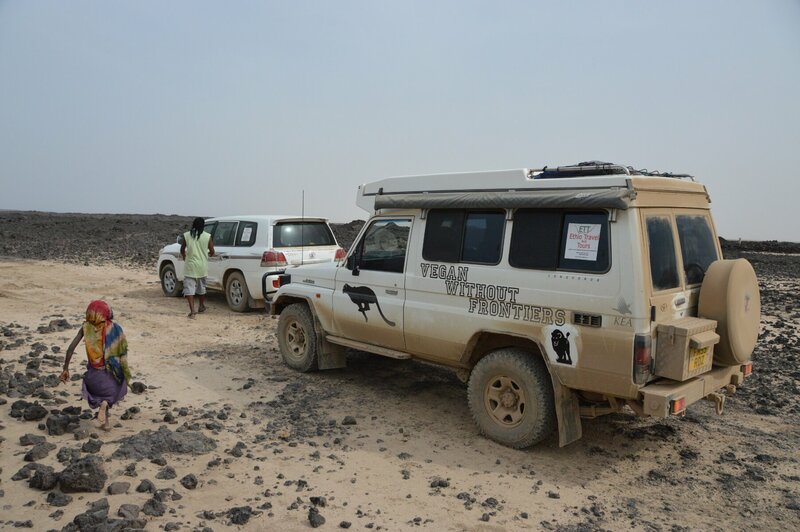 Anyway – we headed back to the Danakil Depression in convoy. Today’s destination was Dallol, at about 120m below sea level. 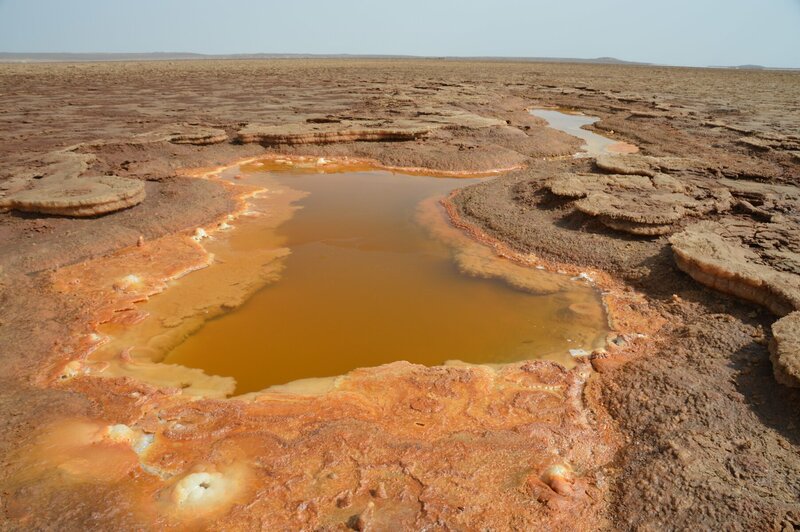 We were going to see the salt lake, and the next day the colourful springs and formations created by hot mineral-laden waters and gases bubbling to the surface. 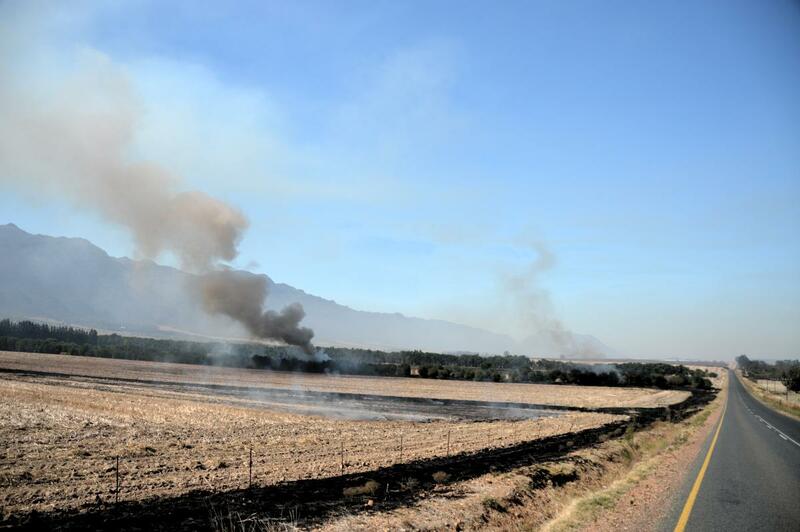 It was a 440km round trip, on and off road as the new road building has created a series of rough and bumpy diversions. Driving out across the salt lake to the waters edge was a nice feeling, but walking on the salt barefoot and soothing our hot feet in the 48% salt water was lovely. As the sun set we took in the atmosphere of this hostile, yet beautiful place. 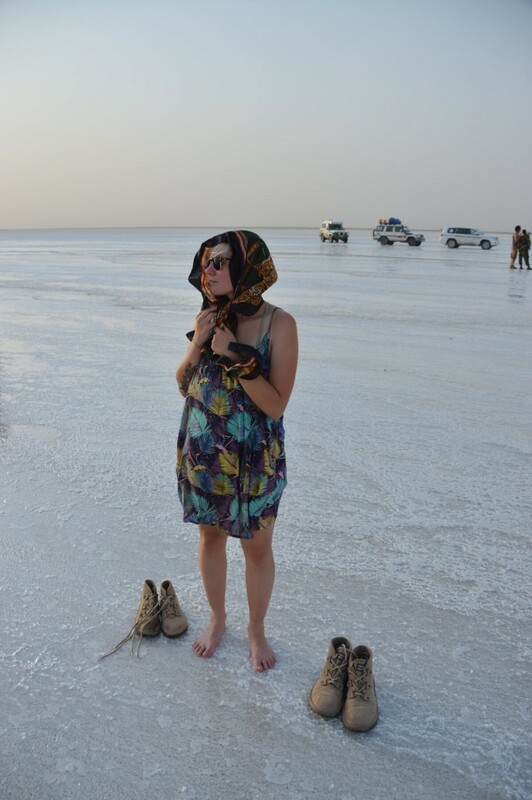 We spent the night in the Afar village bordering the salt lake, and we had the luxury of baking in Troopy with the windows open, rather than baking on a rough bed out in the open. It was bearable while the wind blew, but once that died out we were all left to wait our 5am wake-up. The next day’s tour, before the heat became dangerously unbearable, first took us across the strange curled-tile landscape of the long-dry salt lake towards what is known as ‘The Colourful Area’. I’ll let the photographs speak for themselves – see the Week 13 gallery. The strange salt-mushrooms were also created in the same environment as the bright yellow and red structures, but as the active area moves on the basic salt environment asserts itself and the colours fade. Sulphurous gases and hot springs make small lakes and rivers of sulphuric acid. After that, we visited the salt mountain and crawled through its caves – this is a dangerous place for wildlife too as the little liquid to be found is usually poisonous. I think the worst smelling place we’ve been (since the Iskenderun ferry toilet), was the oily methane springs back out on the lake floor. 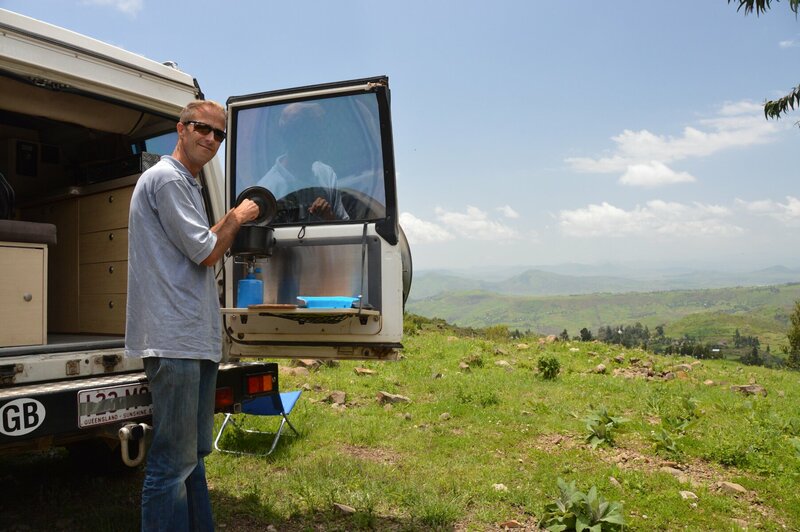 Then there was just the 220km horizontal, and 2.5km vertical, return drive across those gravel roads and hills to Mekele. We made it, but as I parked outside the Ethio Tours office I was done. Totally exhausted and couldn’t move. 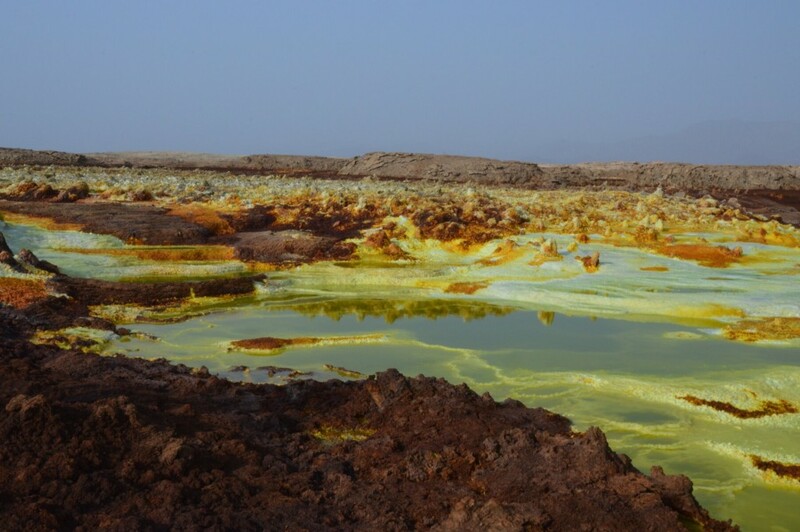 It wasn’t til 24 hours later, having collapsed in the clinic waiting room, that I was diagnosed with Giardia and Typhoid and put on a saline drip for an hour – it takes more than The Danakil Depression to bring down a Vegan it seems. But we had survived and headed South towards Addis Ababa after another night’s rest in the hotel.